One of our favorite things to come out of the internet this past year has been the fantastic Shield of Tomorrow, the actual-play show run by Eric Campbell on Geek and Sundry’s Twitch Channel and Alpha. 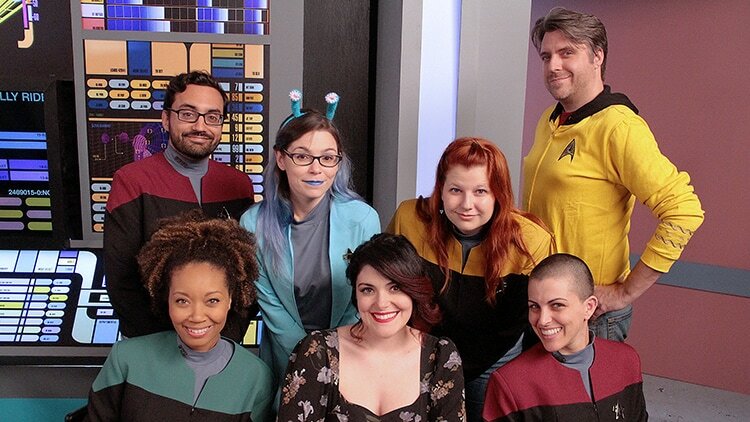 The crew of the Sally Ride, Aliza Pearl, Bonnie Gordon, Hector Navarro, Sam de Leve, Amy Dallen and Gina DeVivo, beamed themselves onto our computer screens each week with new tales of the Federation facing against the unknown. 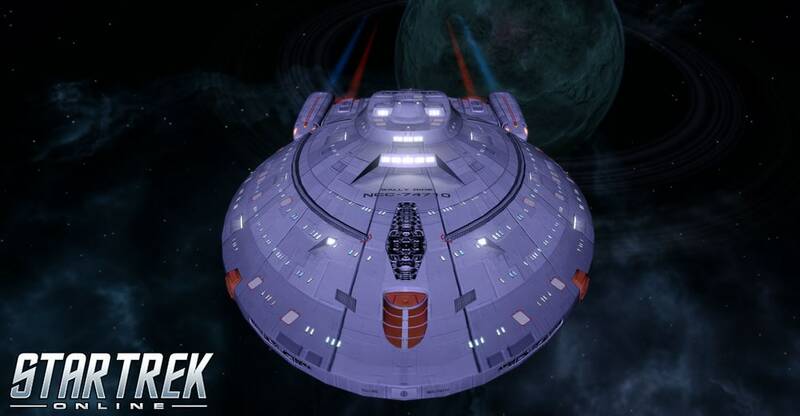 It even inspired some of the STO developers to do their own tabletop live stream. Sadly, Shield of Tomorrow's initial run is coming to an end, and while you won’t have to miss the incredible cast on the screen (they’ll still be around in a brand new show), we couldn’t let Shield of Tomorrow pass into internet history without our own little memorial. 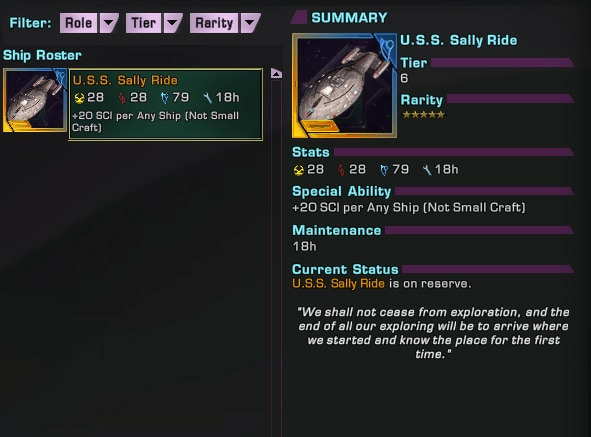 The Sally Ride will be an Admiralty card in Star Trek Online, and will be available to anyone who can find her in the game. Thanks for all the memories and all the great adventures, Shield of Tomorrow. We’ll miss you guys.